[Bear Evaluating] The declining of PC sales for many years drives PC manufacturers for another way out, and warns those brands heading for the market. Would PC die? Is the market really going to die? Certainly not. Great waves sweeping away sand is a necessary process for each mature market. In addition, PC is an essential part for our daily work. Unlike cell phones and tablets, PC is indispensible for most of people, an essential office tool, demanded, rather than optional video game tools. It’s an indisputable fact for PC sales declining, but it happens for some reasons. Today, when the majority of PC performances are able to meet the needs of users, routine upgrades fail to attract the consumers to upgrade products due to lack of breakthrough technology and design. Generally a laptop serves for 3-5 years. Facing the declining PC sales, manufacturers should do something to attract consumers, rather than complain about the market. 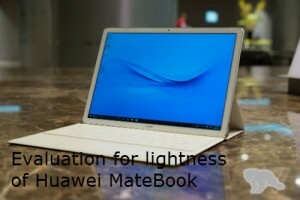 What’s amazing for HUAWEI MateBook? Now I’ll show you the masterpiece of high hopes. Do you take it for the evolution of iPad Pro at first glance of HUAWEI MateBook? It’s not strange to have that thought, because most of business-oriented notebooks are streamlined and elegant, leading to certain product similarity. To open the new business fashion, HUAWEI MateBook is endowed with unique highlight. Let’s start with HUAWEI MateBook body. The whole piece of aviation aluminum undergoes more than60 procedures, designed in symmetric and non-directional style, full of quality, with proper hardness and practicality. At the same time, rounded edges and the frame polished by CNC diamond cutting process is the organic combination of softness and rigidity, highlighting the high-end positioning of HUAWEI MateBook. Echoing the overall design, the LOGO design is simple and low-key, quietly designed in the central body, with the same color of body. The low-pitched design is conducive to improving product quality. As advertised “Thinner than thin”, HUAWEI MateBook is really surprisingly thin, with thickness of 6.9mm, worthy of the name “Lighter than light”. 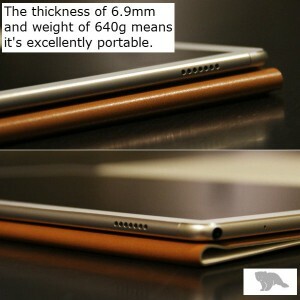 Though its thickness is consistent with iPad Pro, it is 73g lighter than iPad Pro. Of course, such comparison gives more intuitive perception for its thinness and lightness from another point of view. Spill-resistant keyboard is more professional. of resolution 2160 × 1440 may not lag behind, with the size of 12 inches slightly small, very good display, fine and clear image quality, bringing pretty good visual experience. 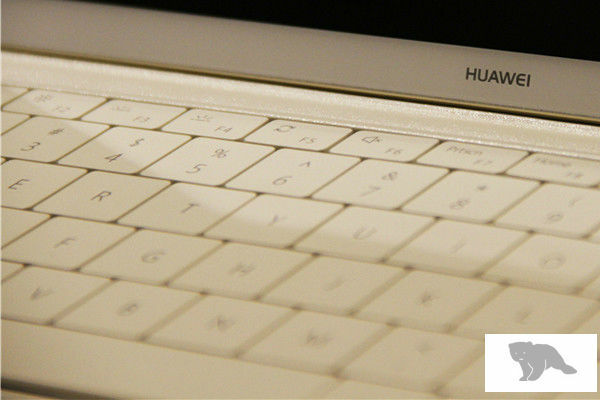 Different from traditional notebooks, HUAWEI MateBook has a keyboard boot similar to Microsoft SurfaceBook, instead of fixed keyboard. Delicately and smoothly touched, the boot is simple, graceful, stout, wearable, and elegantly blended with keyboard, with artful grain press in combination of fashion and function. The keyboard boot also serves as a protector in all directions. 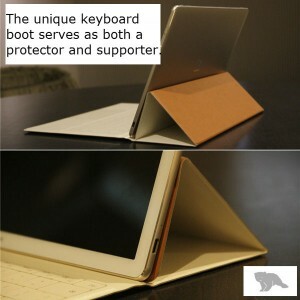 As the core area of overall notebook, keyboard is usually the hot shot. 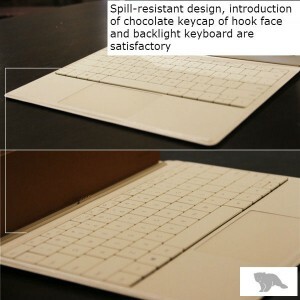 Spill-resistant design is applied, which is rare for the products of same level, so users will not be worried about the damage caused by water spilling over the keyboard. In addition, you will be comfortable to work long time thanks to the introduction of chocolate keycap of hook face and short key travel of 1.5mm. Of course, the automatic backlight keyboard is essential, which can meet the demand of use in poor light environment, and make the product cooler! As a notebook, HUAWEI MateBook seemingly has its own deficiency. It seems not justified to provide only one charging port and headphone / microphone interface for overall appearance. However, Huawei also take it into account. 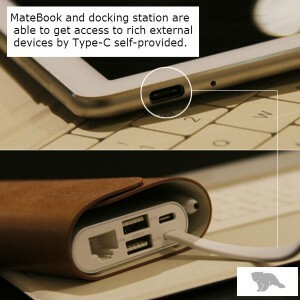 Portable docking station shows very convenient business connection capability. After it’s connected to body by Type-C, HUAWEI MateBook will support HDMI, VGA, LAN, and USB 3.0 interface, for connection of multi -external devices such as projector, television, and U disk etc. Let me ask you a question. How long haven’t you written by pen? As electronic products become more and frequent in our lives, writing with a pen is seemingly far away from us. However, MatePen gives us another choice. 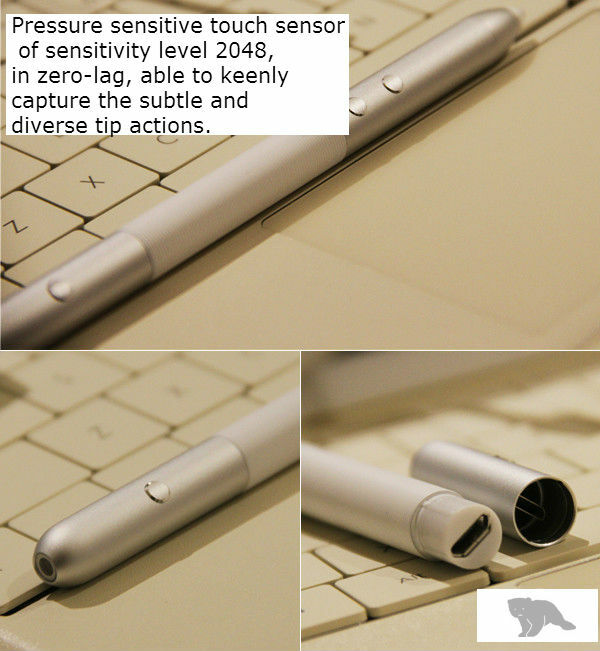 As an accessory of HUAWEI MateBook, MatePen is endowed with pressure sensitive touch sensor of sensitivity level 2048, in zero-lag, able to keenly capture the subtle and diverse tip actions for original handwriting, graffiti or painting, ensuring the pleasant paper handwriting experience in perfect combination of technology and tradition. You might feel a bit dizzy by a series of Core M processors for HUAWEI MateBook newly released. Indeed it’s, because it’s not common to offer so many Core M series processors in one machine. The devices of different looks are divided into six different hardware configurations, covering all the processor platforms of Core M family. The product of lowest configuration is equipped with Core memory M3,4GB, and storage body with solid state drive 128GB. The processor for product of highest configuration is Core M7, matching the memory 8GB and SSD 512GB. In fact, I’m not surprised by the Core M processor, because no processor works more outstanding than it for the lower calorific value ensured and performance considered as far as the thin and slim MateBook body is concerned. 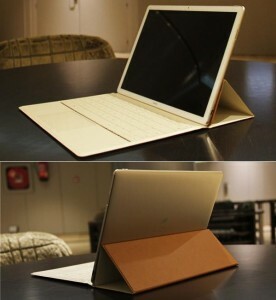 Of course, as a notebook product launched for business-oriented users, MateBook gives more consideration to safety. In addition to software-level safety protection, fingerprint recognition function is provided to give a higher data protection at hardware level, which is also concerned by business users. Besides, to meet the demand of media for tablet, Dolby sound is introduced to bring more amazing hearing experience. 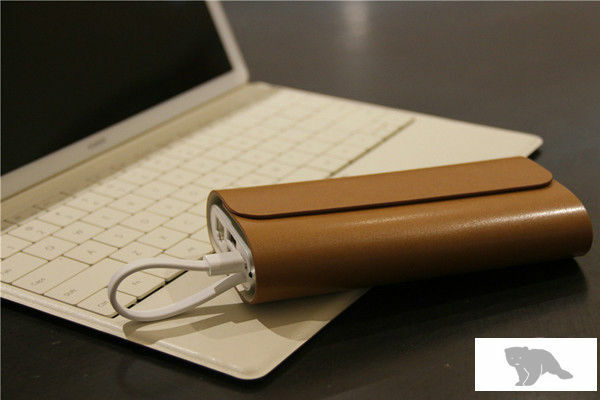 The battery life up to ten hours offers stronger support. In terms of Huawei MateBook, it’s a combo device, with changeable body shape giving flexible usage scenarios. Specifically, as a device for business users, MateBook can completely replace traditional notebook to meet users’ needs under normal usage pattern. Compared to traditional notebook, MateBook has more excellent portability when it’s used in tablet mode, which, as core competitiveness of combo product, is its real advantage and undoubtedly very attractive for business users in frequent mobile state. 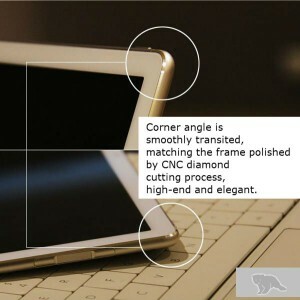 Of course, viewed from current technology level, combo device also has a drawback that cannot be overcome, the screen size. 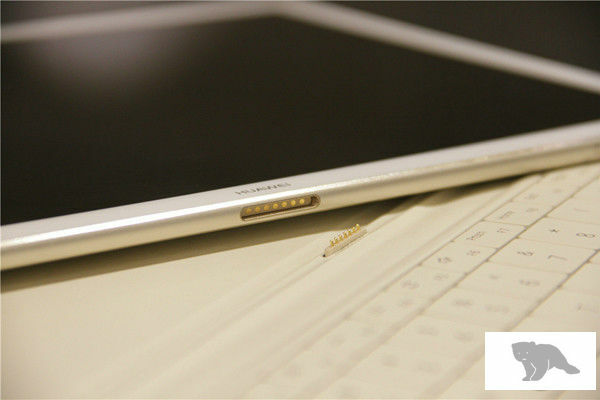 Understandably, the size must be restrained to achieve excellent experience for a tablet as core device. The portable operation for a tablet would be meaningless once it’s too big, which can be found from the 12-inch screen size of MateBook. 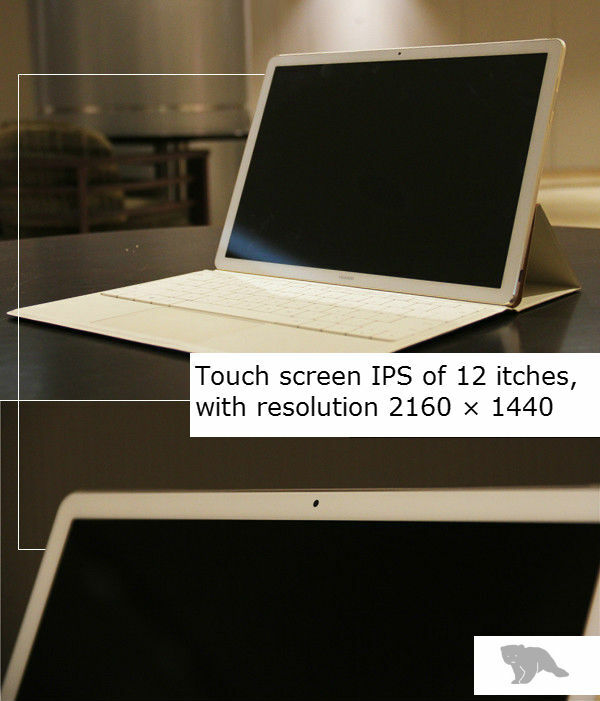 Generally speaking, for mobile business users, the screen size of MateBook is not a problem, since excellent portability is more important anyway. The importance of keyboard is self-evident as it occupies the most part of entire area. Let’s focus on its spill-resistant design. Honestly speaking, it’s not the only design for notebook products, which has been fully used in ThinkPad series of business notebook. The design applied for the first notebook of Huawei is more practical than gimmicks. 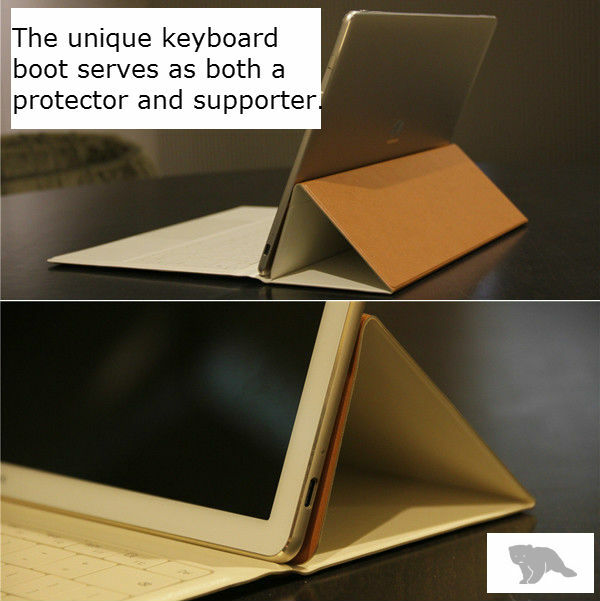 Business users are more concerned about device and data security, and spill-resistant keyboard can avoid device damage caused by accident spilling etc, which provides powerful protection for the product. From this point, we can see Huawei has done much job for equipment safety. External expansion capability is certainly important since it’s one of criteria evaluating the excellence of a notebook. Headphone / microphone and a Type-C port are equipped for MateBook interface, possibly in consideration of overall appearance. Such configuration is indeed improper for a notebook. To cover the shortage, a special docking station is offered to meet the normal demand of users. Let’s take a look at MateBook performance. 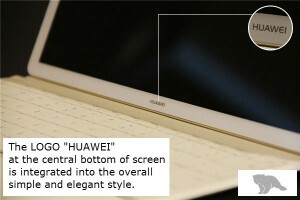 Huawei makes such choice for alternative appearance and function limited by current technology just out of frustration. Needless to say, processor is important, as brain of the entire notebook. Huawei MateBook not surprisingly applies Core M processor. Realistically speaking, with thickness of 6mm and weight 0.64kg, Core M excels any other processor in market to take into account of both overall heat dissipation and performance. Performance is always a worrying issue when we talk about Core M. It is undeniable that its performance is poorer than Core i series, but it has been greatly improved along with the sixth generation of Intel Core. For specific business product, Core M series processor is quiet qualified to normal office, since light office is the meaning of its existence. As Huawei’s first notebook product, MateBook combo device has been highly concerned since its debut, and we’re not disappointed to its reveal at exhibition MWC. The overall simple and elegant design is a perfect combination of steady and elegant appearance required by business users. 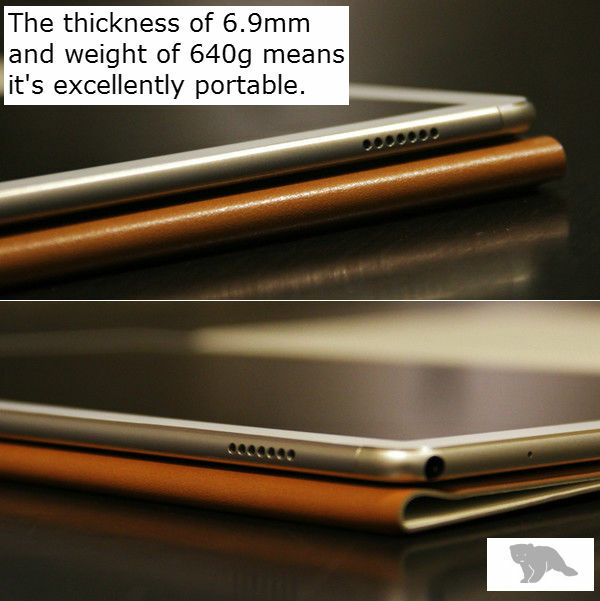 Thanks to body thickness of 0.6mm and weight 0.64kg, its portability is incomparable, which helps it firmly stand in a commanding height of market competition for portability demanded by users. The introduction of spill-resistant keyboard and fingerprint recognition function makes MateBook reassuring in terms of safety performance. Of course, it is not perfect. It might be laborious due to relatively weak capability of external expansion. However, the emergence of docking station may ease the regret more or less. Generally speaking, Huawei MateBook performs amazingly, providing more excellent option for business office people.